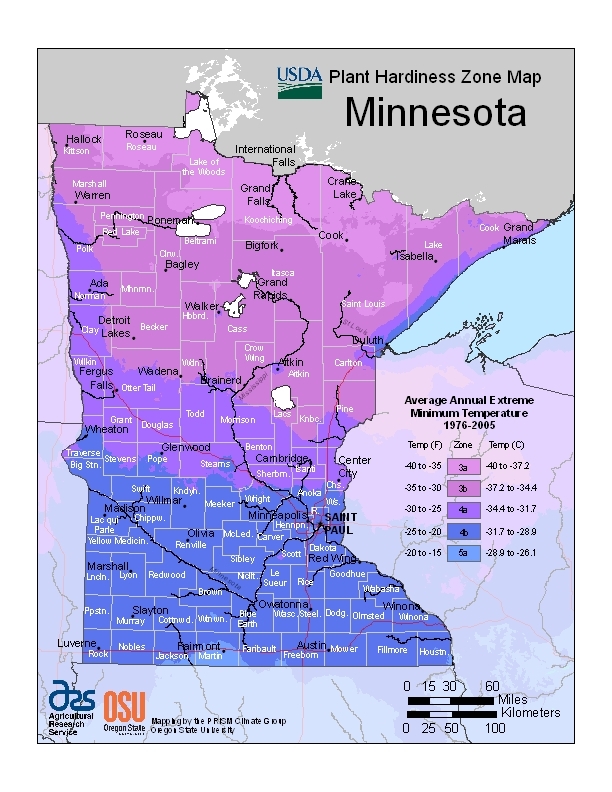 Costs – Keep your trees in good condition so you have them when those cold winters and hot summers come around in Minneapolis, Minnesota. Check out our compiled statistics on maintenance and removal in the area. FAQs – Learn more about the current condition of trees in Minneapolis, along with the best ones to plant, diseases to look for and treat, the tallest tree in Minnesota, the state tree and more! Services – We have every professional in the Minneapolis area for you to call and talk to you. See which one is closest to your or sounds like the right person for the job and call. How Much Do Tree Services Cost in Minneapolis? With the below-freezing winters and hot, humid summers Minneapolis, Minnesota is known for, it’s nice to have a tree to catch some of the snow and shade you from the sun. Learn how much you’ll pay to keep that lifesaver with these statistics we’ve provided on tree maintenance in Minneapolis below. Removing a tree in Minneapolis will cost you between $459 to $631 when considering the tree’s height, location, proximity to power lines, and any other factors that might make it harder to take down. The average price a homeowner in Minneapolis can expect to pay is somewhere around the figure of $545. If the tree has already been removed but not the stump, it will cost a Minneapolis resident between $200 to $250 and take about two hours of work on the part of the tree care professional to remove from the ground and haul away. Although prices may vary based on the type of tree and other extenuating circumstances, most homeowners are looking at a ballpark range of $406 to $582 in tree maintenance costs in Minneapolis, with an average cost of $494. Since 1979 Minneapolis has been nationally recognized as a Tree City USA by the National Arbor Day Foundation. Since 2006 it’s been working to keep its green canopy alive, planting 7,500 trees and encouraging residents to Adopt-a-Tree to continue these efforts. Find out what you can do as a resident to help out and benefit not only the city but also you with a tree. If a Minneapolis resident wants to remove a tree from their property, then a permit must be requested through the tree service contractor to the Forestry Division. Exceptions to the rule are when their trees are diseased, in which case the tree must be removed within a certain number of days to prevent the spread of the disease to other private and public trees. The best time of year to remove or trim trees in Minneapolis is around February or March, when it’s still winter and the trees are still dormant. Insects and disease are less likely to be harming the trees, and they’re not growing. According to Xcel Energy, Minnesota’s electricity utility service, no trees should be planted within 10 feet of the power lines. Larger trees must be planted even farther away. Their general rule is that the taller the tree will be, the further it should be from the lines. 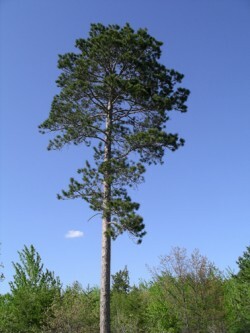 The Norway pine (Pinus resinosa) is the state tree of Minnesota. It is also called the red pine because it has pale red wood and reddish bark. It can reach up to 141 feet tall and lives for about 500 years. It’s very common and good for anywhere in Minnesota, including Minneapolis. While Minneapolis has a short agricultural growing season due its cold, cold winters, there are quite a few types of fruit trees it can support. Many of the locals grow fruit including apples, pears, cherries, plums, peaches, and apricots. While Minneapolis can boast none of the tallest trees in the state, residents can drive about an hour to see a 130-foot white spruce (Picea glauca) at White Lake State Park, the tallest tree in the state of Minnesota. The shortest tree in Minneapolis will probably be any of the new trees being planted by new owners as part of the City Trees program this year. 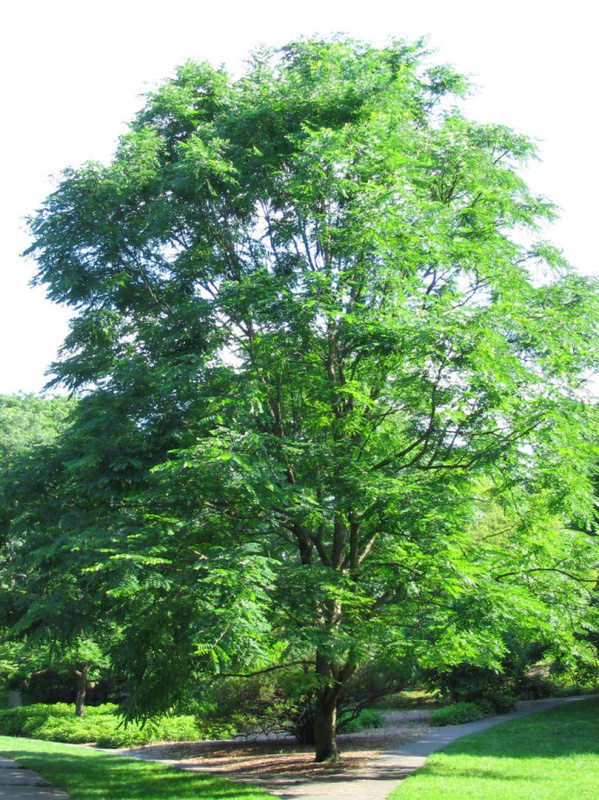 The major tree suffering a lot of problems right now is the ash (Fraxinus) tree species. With the invasion of the emerald ash borer, a green beetle native to Asia and Russia, ash trees are being attacked and destroyed. Minneapolis had to take down a lot of ash trees because of this beetle, and if residents decide to take on the task of planting one, there’s a good chance it could become infected with this beetle. Besides for the emerald ash borer, the other two common diseases currently affecting Minneapolis trees are Dutch elm disease and oak wilt. Dutch elm disease is caused by a fungus transmitted by the elm bark beetle and is deadly to American elms. If it’s not treated in the early stages of wilt, the tree will die. Oak wilt is the other disease that affects red and white oaks in Minneapolis, wherein the oaks wilt and eventually die if not treated properly and is also caused by a fungal infection.